Your Candidate Has a Criminal Record. Now What? If employers used this background information to exclude anyone with any kind of criminal record, one-third of applicants would not be able to get a job. Given the problems our economy currently has with 7% unemployment rate (and a growing pool of long-term unemployed), this outcome would have clear consequences for our society in general. In fact, a blanket exclusion policy is exactly what the EEOC has alleged in recent lawsuits against Dollar General and BMW, arguing that these policies create a “disparate impact” against members of a protected class. The application of the EEOC’s disparate impact guidelines is controversial, not least because it is challenging for employers to implement in practice. But the fact is that there is little or no clear criteria in place to help employers design a hiring process that is fair and effective in managing human capital risk. One of the key concepts relevant to this issue is to make hiring decisions based on job-related criteria – that is, criteria that are materially relevant to your business and the prospective employee’s role. When we take a look at the EEOC’s guidance on using a criminal record in the hiring process, we find an emphasis on job-related criteria. When we look at court cases dealing with these issues, we find an emphasis on job-related criteria. 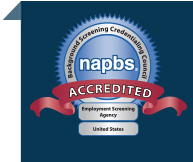 The EEOC recognizes an employer’s right to manage risks through background screening, and the law supports excluding an applicant if their criminal background clearly creates unreasonable risks. But the law also requires that individuals be treated fairly. We take it as a given in our society that individuals are different from each other. This idea certainly extends to criminal backgrounds, which vary widely. Some individuals have records that are old, relatively minor, and clearly not related to the job they are applying for. Others might be more recent, serious, and relevant to the role they are applying for. How much time has passed since the offense and sentencing. Whether the offense is related to the job in question. 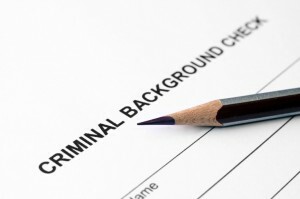 Once you have determined through background screening that an applicant has a criminal record, you must move on to an individualized assessment of his or her circumstances. In this process, you need to give a reasonable opportunity for the applicant to challenge your findings and/or present mitigating factors. Using the information from the background report coupled with the result of an individualized assessment, you can come to an equitable and defensible decision about an applicant’s suitability to join your workforce. You may discover that you have found an applicant who will contribute significantly to your business. This is a win-win outcome.